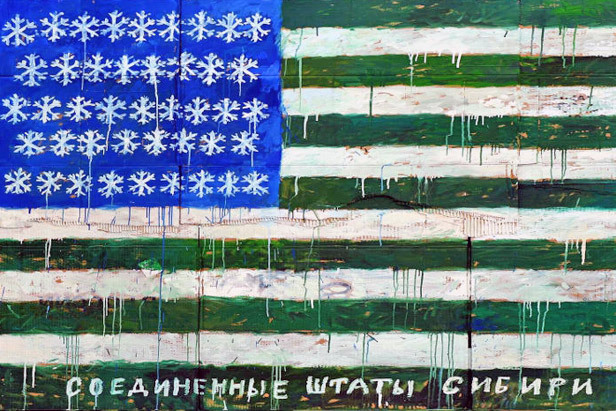 The United States of Siberia founded in Moscow from Russia Beyond The Headlines on Vimeo. Moscow Center for Contemporary Art Winzavod has launched an exhibition of works created by Siberian artists. The pieces from Omsk, Krasnoyarsk and Novosibirsk are displayed in the frames of The United States of Siberia project till April, 24. Artist Marat Guelman, who promotes the exhibition, emphasizes that Siberia is so far away and detached from elsewhere in the world. This distant location let the local artists present a unique view of the world. They can even afford a certain touch of irony, which is characteristic for Russian culture in general.